AirPlay is Apple technology for wirelessly transferring media data between devices. In the player it can be used to transfer videos to the big screen from iOS devices via Safari. 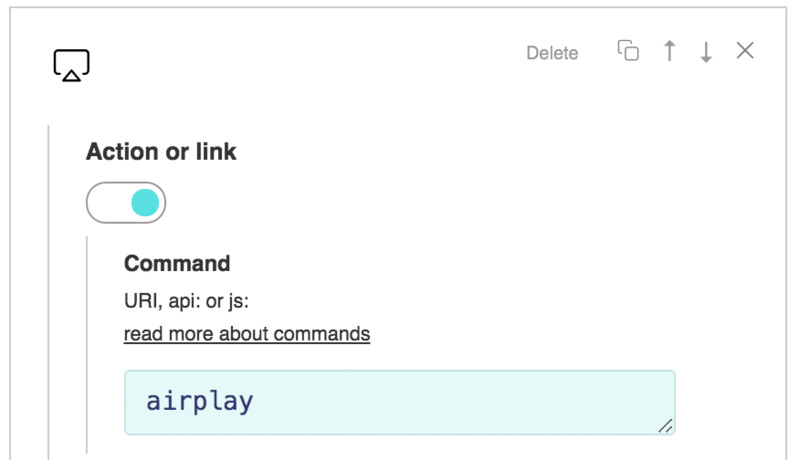 To add AirPlay support just create a custom element on the player panel and specify the airplay command. This button will be displayed in the player if AirPlay technology is available from this device. Pressing the button will bring up a window with a choice of device for stream.